SCADACore provides enterprise SCADA / IIoT Remote Monitoring systems to help serve operators, accountants, and engineers of the oil and gas industry. SCADACore’s IIoT Live solution features multi-line trending, alarm callouts, current and historical records, data archival, wide-range of device support, with 24/7 support at a low-cost, all-inclusive price point, SCADACore offers exceptional value that are unmatched in the industry. 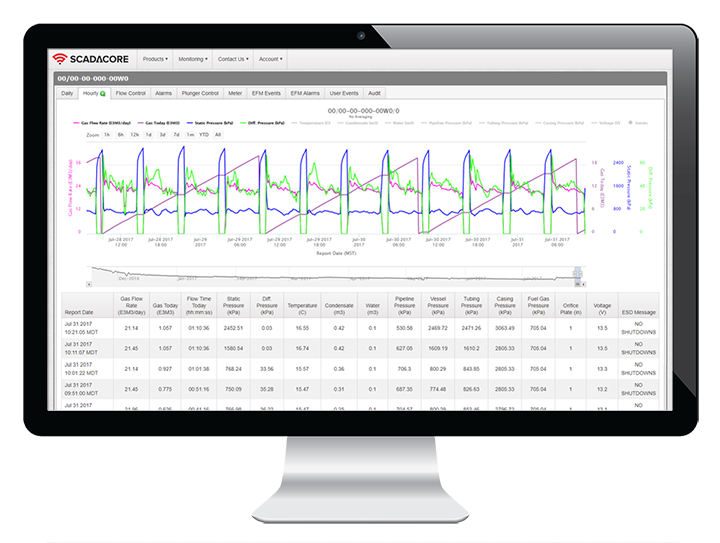 From real-time, 1 second frequency data polls for Offset Frac Monitoring, to daily regulatory reporting, SCADACore has a cost-effective SCADA solution for your monitoring needs. There is no reason to pay for ridiculous mark-ups for remote monitoring. Other companies use antiquated technologies and pass on their operational inefficiencies as cost to you. 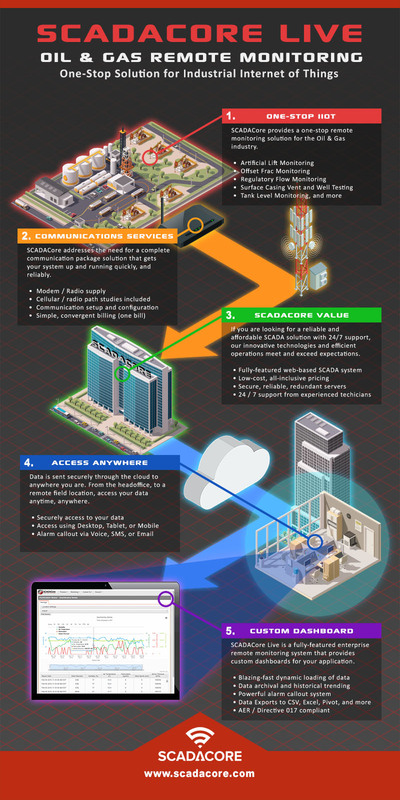 SCADACore provides innovative SCADA / IIoT remote monitoring capabilities to you at HALF the cost! As wells age the well casing deteriorates allowing the flow of gas and liquids through the walls of the casing. This has significant impact on the safety of the gas well as well as environmental effects caused by leaking liquids into the groundwater. Surface Casing Vent Pressure Tests help to determine the integrity of the well casing and if any additional down-hole maintenance needs to be performed. 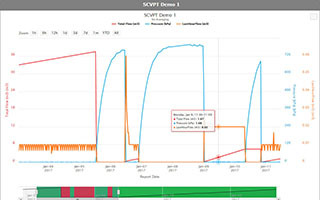 During offset frac monitoring tests real-time data is sent in 5 second intervals to SCADACore. Offset frac tests are essential in ensuring the integrity of existing wells during a fracturing operation. SCADACore Callout Live provides users with near real-time alerts through Voice, SMS, and/or Email. Thresholds for alarms can be set up, and call lists can be added and modified for weekly on-call staff using the easy to use administration tools. Tank monitoring is a natural application for the SCADACore Live system. Utilizing the real-time callouts, historical trending, and exports, all levels of the company can benefit from using SCADACore Live. Field employees can receive voice, SMS, and/or email alarms when tanks have breached thresholds, while office staff will receive daily, weekly, or monthly reports detailing the usage of the tank. SCADACore works closely with Electronic Flow Measurement (EFM) manufacturers to provide complete remote monitoring capabilities to the existing hardware. SCADACore Regulatory Flow Monitoring meets all of the strict AER reporting requirements and continue to work closely with other regulatory bodies to ensure our compliance to their standards. SCADACore supports several types of flow tests, common tests include 2 Phase and 3 Phase well tests. Three Phase well testing allows testing companies and producers to monitor in real-time the flow of gas wells and the liquids produced. Alarm callouts are available to ensure tests run smoothly and continuously through the test. SCADACore works with Plunger Lift manufacturers to create the best online plunger lift monitoring solution anywhere. SCADACore’s solution allows users to graphically view the current state of the plunger and monitor countdown and state timers in real-time. 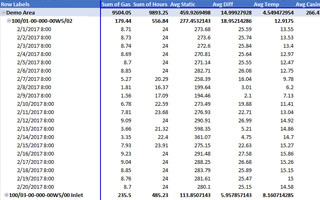 Custom reports allow technicians to plot plunger states along with pressures and flows to better tune and optimize your well. The SCADACore’s Oil & Gas Monitoring solution collects remote data to provide daily, hourly, or real-time reports. Our charting system, while feature-rich, is also easy-to-use, allowing clients to review and analyze data with powerful trending features and historical data retrieval. 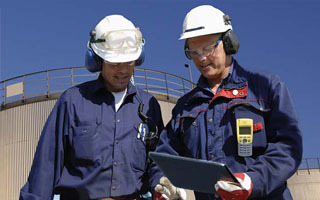 Our Oil & Gas Monitoring provides you with real-time alarm callouts. The system can be configured to match any alarm conditions and send callouts to you via Voice, SMS, or Email messages to indicate an alarm has been reached at a remote location. 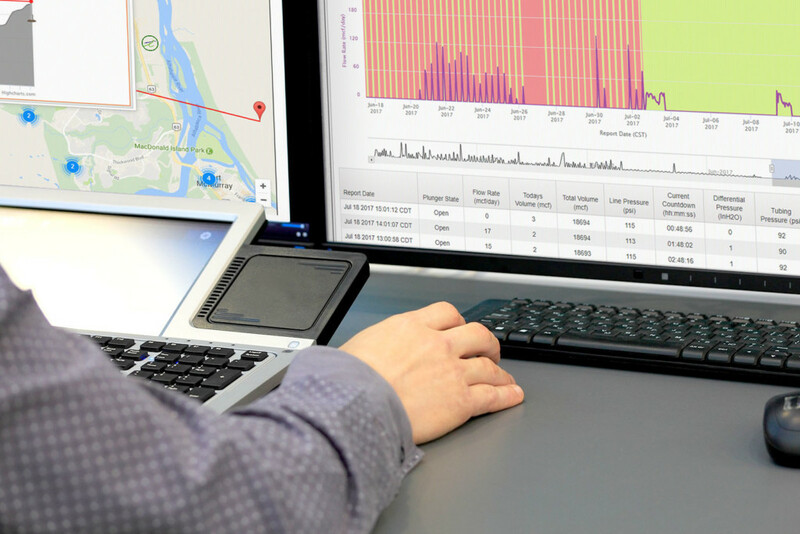 The Export Engine for our Oil & Gas Monitoring solutions provides our clients with highly-configurable system that can export data to conform to any data formats. Our engine can integrate with any third-party systems, with wide-array of supported data formats including CSV, Excel, Pivot Table, PDF, and more. SCADACore’s Oil & Gas SCADA / IIoT Hosting provides web-based remote monitoring and data archival functionality, letting you access your data, trends, and reports anytime, anywhere. 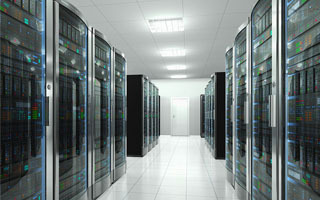 With secure, redundant servers, and secure remote login, we take care of all the Oil & Gas Monitoring details for you. The SCADACore Live Insight’s alarm callout notification engine is a powerful system that can be configured to match any alarm conditions and send a callout to operators via Voice, SMS, and/or Email messages. The voice messages contain real-time value of the monitored point, providing technicians and operators the information they need to resolve the issue on site.